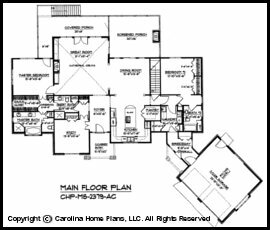 This midsize craftsman style house plan with split bedroom layout and open floor plan concept features an angled breezeway and 2-car garage. 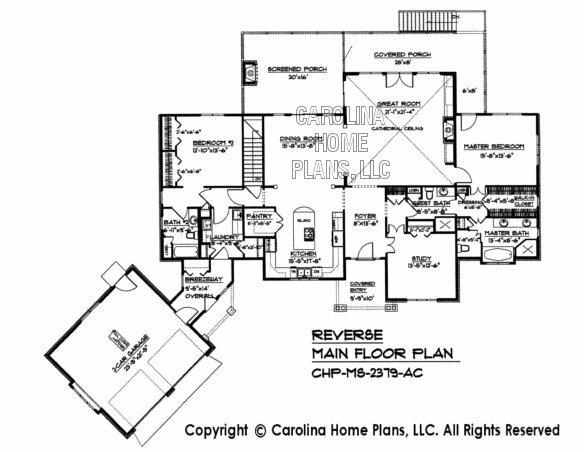 Two separate bedrooms, each with their own individual full bath, could serve as dual master suites or a private guest room. A comfortable study with a ¾ bath can easily double as a 3rd bedroom. 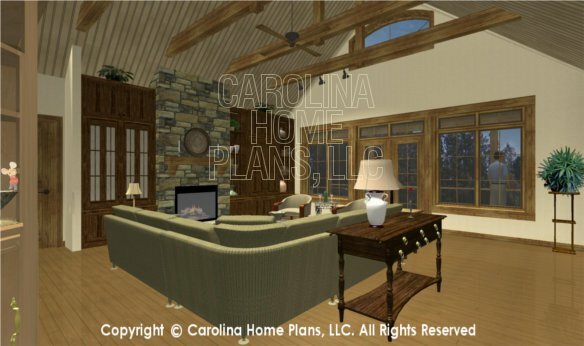 The cathedral ceiling great room with beams opens to a large, covered porch and screened porch with an outdoor fireplace. Natural light is provided throughout this midsize craftsman home with 9' ceilings and transom windows. A fully equipped kitchen with a large work counter provides ample space for entertaining or multi-cooks. 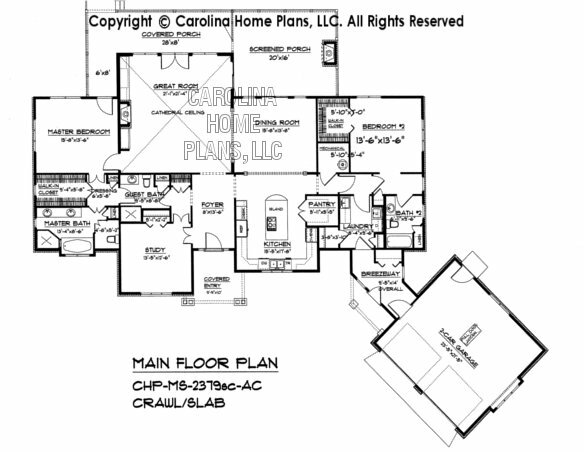 The conveniently located walk-in pantry and desk area compliment the large, luxury kitchen. An easily accessible laundry is connected to the angled breezeway and 2-car garage. 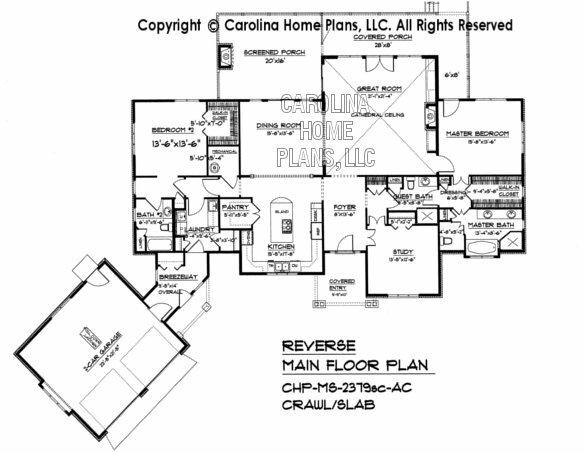 Available with basement or crawl space/slab. 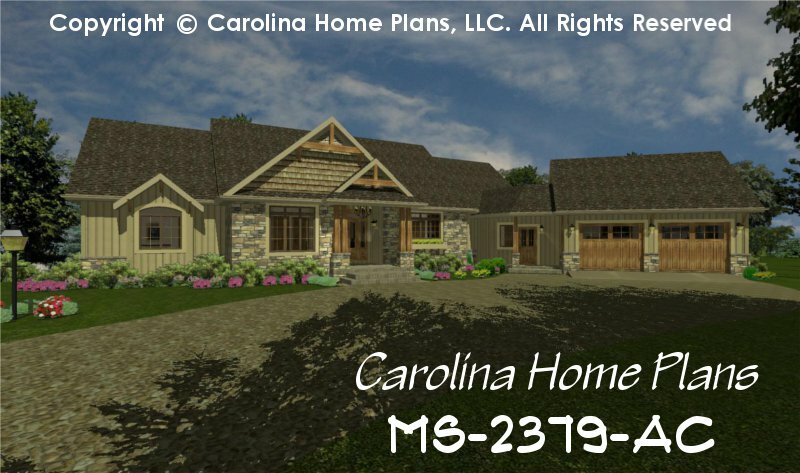 This midsize craftsman style house plan with 2 bedrooms plus study and open floor plan layout is well suited for down-sizing and retiring. 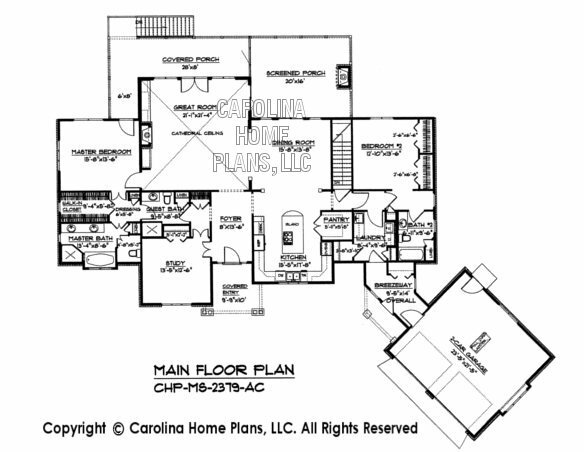 This midsize house plan is a smaller version of LG-2715-GA. Available options and pricing: See below. Bedroom #2 Closets 2'-6"x6'-6" ea. Select the combination of options from the drop-down options menu above and then click "Place Order" (follow instructions for discount on order page). Digital Copy (of Repro) prints-out at 24"x36"
See Typical Plan Sheets for details. PDF Files are available in a separate section.